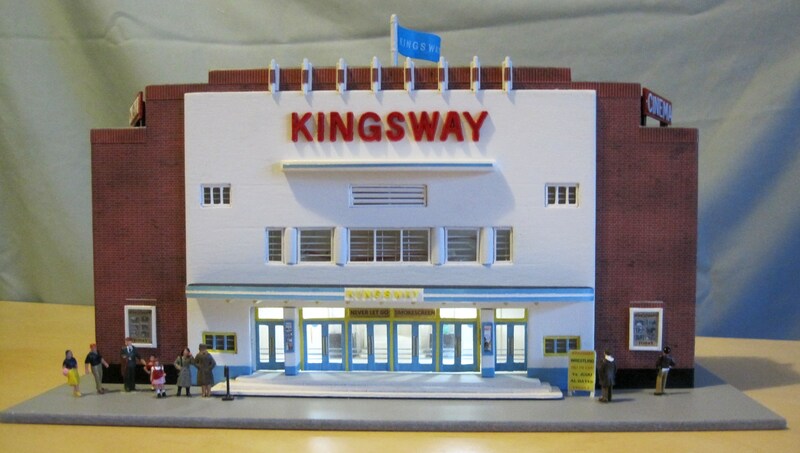 On the afternoon of 1st November, 2012, I was invited to Alice Chafer’s house to discover more about the Kingsway Cinema – which once stood proudly in Hadleigh Town Centre. Also present was Mr Roy Dilley, author of Southend Palaces of the Silver Screen (which includes the Kingsway, Hadleigh). 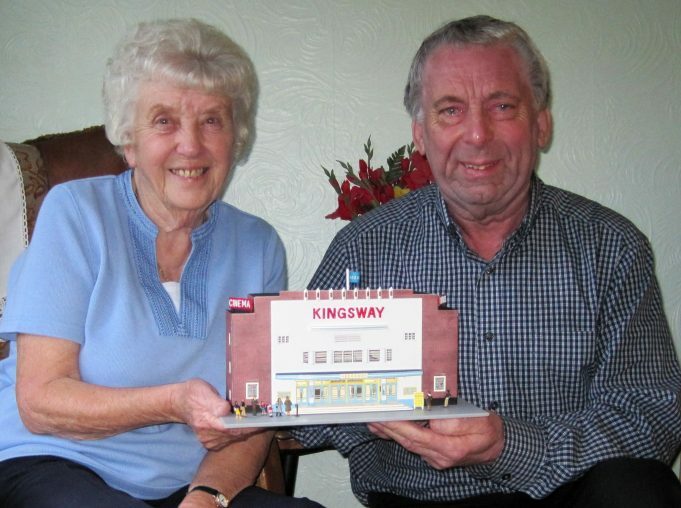 Mr Dilley had just completed a model of the front façade of the Kingsway in its heyday and wanted Alice to see it. He kindly removed it from its presentation box, for photographing. It was great fun talking about the “People’s Palaces” and looking through Alice’s photo albums; particularly as my aunt had been an usherette at the “Gaumont” Lewisham at the outbreak of World War Two. I enjoyed hearing about the staff of the Kingsway and even more what the paying public would have got up to without Alice’s watchful eye and torch! Disappointingly, her regular sightings of an Edwardian Lady Ghost in one of the boxes, was at a cinema in Southend, and not Hadleigh. Here is Alice’s personal account of her time at the Kingsway. The Kingsway with house lights on - ready for a show!